Europe’s largest used truck and trailer dealer, worldwide delivery! In addition to trucks & trailers BAS also has over 400 light commercial vehicles in stock of all brands, types and configurations. With BAS Machinery we are also able to provide you with all your construction equipment. We have a stock of over 100 machines of all product groups and brands. Your specialist for new and used spare parts. BAS Parts has 30.000+ parts in stock. Tyres of budget and premium brands are available at BAS Tyres for the lowest price. Fast delivery and mounting is possible. Used trucks As of many years, BAS Trucks is the real specialist when it comes to used trucks, trailers and tractorheads. With us, you are at the right place for purchasing a truck of one of the top truck brands in Europe: DAF, Volvo, Renault, MAN, Scania, Mercedes and IVECO. Every brand has its own strengths and specific features compared to other truck brands. Our trucks are being sold to more than 150 countries. 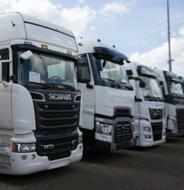 Therefore, all used trucks in stock are available in all thinkable years, milages and prices! Used semi-trailers Used semi-trailers are also for sale at BAS Trucks, of course. Whether you are looking for a Krone, L.A.G., Schmitz or any other semi-trailer brand, we have the right trailer for you. 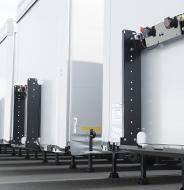 Our low-priced semi-trailers will quickly provide a better return on investment for your company. Among the large stock of used semi-trailers you will find closed trailers, curtain sides, open top, tank, silo and refrigerated trailers. We often purchase used trailers in large amounts, which allows us to give very good prices. Truck leasing Truck leasing? Not a problem at BAS Trucks! When you check out our stock, please look for the possible text ‘Lease starting at’ in the vehicle picture. If that text is visible, it’s possible to lease the truck. Leasing a truck can quickly help your business forward. It might be that a used truck is priced too high for your budget. In that case, you can still buy that truck by signing a lease contract. 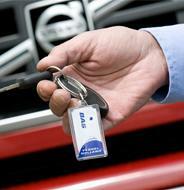 Leasing is an extra service of BAS Trucks and we are happy to help you as best as possible. Apply for a lease offer and see what BAS Trucks can offer you!